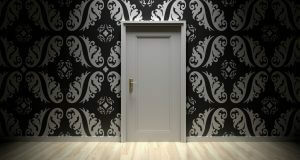 Google’s Doorway Algorithm was put in place in order to improve the overall quality of its search results. The reason doorway pages are frowned upon, is because they are pages that exist for no other reason than to rank in search results. These pages do not offer any unique value for users. Some websites create multiple doorway pages all ranking for the same term, driving visitors back to the same page. These pages all have similar information, which doesn’t offer unique content for the user. In terms of SEO, be sure that all of the content on your website is original, unique and benefits the user. Make this your main focus and keeping on the right side of Google’s shifting SEO threshold will be easy to maintain. Are the pages easy to find? Can you access them from other pages on your site, or are they considered “island” pages? Are these pages made solely for driving traffic? Do they provide unique content or functionality? Are the pages generated to funnel visitors to irrelevant pages of your site? Is the purpose of the content on the page to please search engines? Do these pages add any benefit to the user? Is the content on a specific subject matter, but yet optimized for generic terms?